It is a year since the “horsemeat scandal” blew up in the UK with people eating lasagne they thought was made of beef which actually contained horse. Today, the food safety agencies are telling us that we probably have the safest food on the planet. Yet as BBC Radio Five Live was told this morning, the food supply chain is so complex that no-one can be sure. The programme heard that cod fish fingers can be produced by fish caught by UK fishermen which is then distributed to China for production before coming back to the UK via several other countries. It leaves the door open for potential “food fraud” the BBC was told. But why are the food manufacturers doing this? The answer is cost. They are being forced to drive down costs because the supermarkets want to sell us things at the lowest possible price. A former supermarket executive told the BBC this morning that if people want higher quality food then they are going to have to pay for it and accept higher prices. Meanwhile, they focus our minds on price. Their TV adverts show how their shopping basket is cheaper then their rivals. When you look at the shelves the price tickets show that there is a saving of a few pence compared with a nearby supermarket. 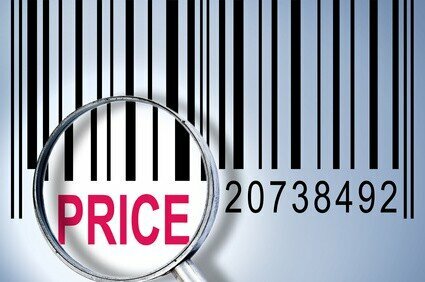 The executives of supermarkets are focused on price. They believe we buy things on price. They are convinced we want the cheapest goods. Sure, they have evidence from millions of items which demonstrate clearly that price reductions, comparisons and bargains pay off. Their data shows without doubt that people want cheap stuff. Except that is a statistical quirk. It is the same as giving everyone in your street free grass mowing for several months and then asking them if they like their grass short and neat. They will of course say yes. So when you say to people we are the cheapest and focus their mind on price and then ask if they like low prices they will inevitably say yes. When you commoditise something, people treat it as a commodity. Supermarkets are having to push prices lower and lower because THEY started it…! And that means supermarket suppliers are pushed on price and that means corners are cut in quality to deliver those cheap prices. Now the supermarkets are being forced by regulation to increase quality and that means they are going to have to either accept lower profits, upsetting shareholders, or increase prices upsetting consumers. They are in a lose-lose situation. But it is of their own making. Study after study after study confirms that people do not buy on the price of goods UNLESS the seller focuses their mind on price. People prefer value and quality. Emphasising price is a mug’s game.